You can test and compare different versions of Personalized Campaigns using A/B Split Testing. 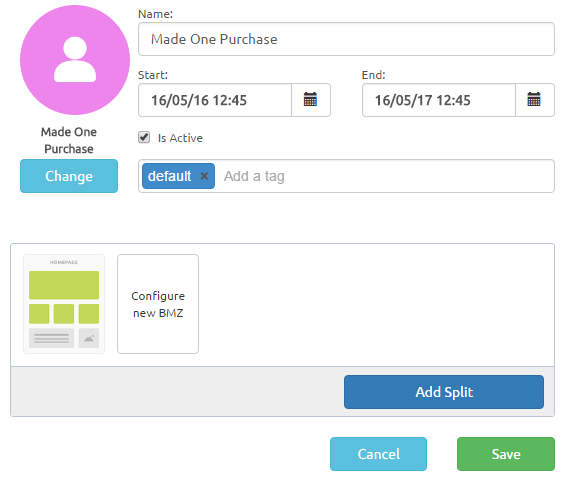 In a standard personalized campaign you can perform an A/B test by adding a split using the ‘Add Split’ button. 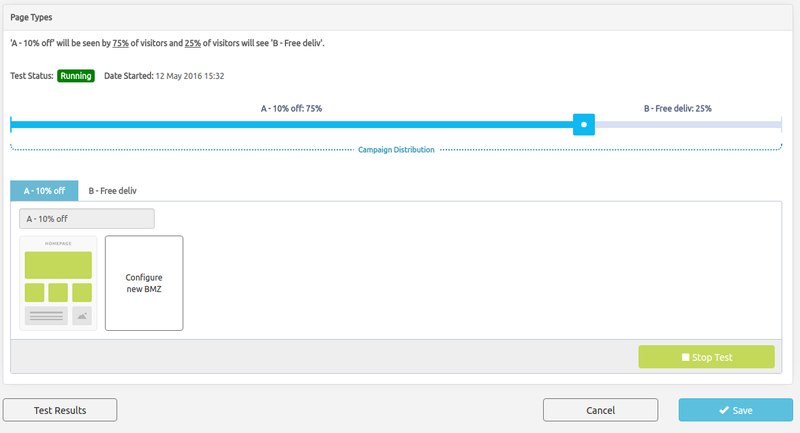 You can have/add up to 3 slips, A, B & C.
In PureClarity you can create a test with multiple versions and split the traffic using the campaign distribution slider. You can manage the configuration of each split using the A, B and C tabs. You manage the configuration of the Page Types and their BMZs as you would do normally. You can name each slip test depending on the objective of the test, e.g. for ‘A’ – 10% off and for ‘B’ – 20%. If the campaign you are working on at the moment is a split test and is active then the ‘A’ test will show on the site until you explicitly start the test. Once you are happy to start the test click on the ‘Start Test’ button. You will then not be able to edit the campaign until you explicitly stop the test. To view the performance of the test either click on the ‘Test Results’ on the campaign page or the graph on the Campaign List.